For example, I should be able to articulate why units that camp the most are the more successful; why units that allow the boys to experiment with the patrol method with guidance and boundaries from the scoutmaster corps are more successful than units where adult leaders run the program; or why units with Senior Patrol Leaders who work the Patrol Leader Council are more successful than units where Senior Patrol Leaders acts as the patrol-leader-of-all. With this expectation of an ability to explain the rationale of scouting, I have often been annoyed with my struggle to explain why the outdoor elements are so important to the century-long success of scouting. As any who know me well, I took up lifting free weights just before Christmas 2015. I have been regular in working out ever since. Me! Can you believe it? Regular in working out! But I digress. I have been following the Starting Strength Method, authored by Mark Rippetoe. Rippetoe explains weight training as a process of stress, recovery, and adaptation. You stress the body by lifting heavy weights, your body takes time to recover, then your body adapts by growing more muscle to be able to handle the previous weight, plus a little more. If you lift 100 pounds today, your body will prepare to lift 105 pounds in 48 hours. This repeated process of stress, recover, and adapt, leads the lifter to be stronger in amazingly short periods of time. I have posted here before about how I think scouting has many of those same elements of stress, recover, and adapt in the psychological make up of the scout. My reading about Starting Strength has led me to discover an old bit of scientific research into a human’s perception of his (since we are focusing on boy scouts) surroundings. Ernst Heinrich Weber (d. 1878) did some research into a person’s ability to perceive the difference in the physical characteristics of objects. He attempted to reduce his analysis into mathematical formulae. In my brief review of this topic, it appears his formulae have not withstood the test of time. Weber’s description of how humans perceive the world does show some validity. Gustav Theodor Fechner, Weber’s student, built on Weber’s research. He theorized that humans perceive change on a logarithmic scale. Again, the mathematic formulae have not withstood long-term scrutiny, but the basic scale of perception seems to still ring true. Weber found that the just noticeable difference (JND) between two weights was approximately proportional to the weights. Thus, if the weight of 105 g can (only just) be distinguished from that of 100 g, the JND (or differential threshold) is 5 g.… If the mass is doubled, the differential threshold also doubles to 10 g, so that 210 g can be distinguished from 200 g. In this example, a weight (any weight) seems to have to increase by 5% for someone to be able to reliably detect the increase, and this minimum required fractional increase (of 5/100 of the original weight) is referred to as the “Weber fraction” for detecting changes in weight. Other discrimination tasks, such as detecting changes in brightness, or in tone height (pure tone frequency), or in the length of a line shown on a screen, may have different Weber fractions, but they all obey Weber’s law in that observed values need to change by at least some small but constant proportion of the current value to ensure human observers will reliably be able to detect that change. So in lifting weights, I can attest that it is easier to detect a 2.5 pound difference between a 2.5-pound plate and a 5-pound pate than it is to detect a 5 pound difference between a 95-pound bar set up and a 100-pound bar set up. Without trying to be mathematical and just relying on observation over nearly 20 years of scouting, I think this perception of reality is part of why the future Eagle Scout is such a predictable outcome at his Board of Review. The future Eagle Scout was not born confident. From Tiger Cubs through his time as a Life Scout, the future Eagle Scout was given new environments and circumstances to test his existing skills. As a Tiger Cub, he noticed every noise in the woods while doing his first campout. Tigers don’t camp in the winter or bad elements for a reason. They are not ready for such a large jump in stiumulus. They are likely to end up not liking camping and therefore by association, not liking scouting. Camping in an environment without air conditioning is likely to be enough of a stressor. As a Webelos,* he focused on his friends in his Den, and the noises in the woods were less important. The Webelos is better able to deal with more varied environmental conditions. There will still be complaining and disappointment if there are less than sunny skies, but a veteran Webelos will adapt better than a Tiger Cub. As a boy scout, this progress of adaptation continues. Eleven year olds on a two-night campout dealing with their food, kitchen sanitation, activities, and coordination have their hands full. Three years later, this same scout can go on an eight-day canoe troop away from home and civilization and survive and thrive. The change that a Webelos can handle compared to a Tiger seems vast until it is compared to the eleven year old learning self-sufficiency in the woods. The change is even greater between that 11 year old and the canoe-trekking scout. When that canoe-trekking scout goes before his Eagle Board of Review, he has seen small adaptions that seemed huge, start to appear in hindsight as just small steps. Each step in the progress can demand more and more of the scout without causing the scout to collapse into a puddle of tears. The scout’s perception of what is stressful or psychologically challenging requires larger and larger changes to be noticeable. Is it logarithmic as Fechner would have preposed? Doubtfully. Is each progression noticeably larger? Absolutely. Weber and Fechner were on to something that we can see in scouts’ development and growth every day. Knowing that it takes increasing challenges over time to cause a scout to perceive an increase in the challenge is an important observation to use to drive your unit’s program planning and delegation of responsibilities. The scout must be given a challenge that he perceives as continually new and ever increasing, otherwise it feels the same. It is not a question of whether it is the same or not. It is a question of how the scout perceives the change. He will only perceive change within his own experience. Each increment of the change must become larger and larger for the scout to continue to perceive it. Don’t forget, we are not talking about the increments of change solely within the scout’s experience within the unit. We are talking about the scout’s experience with life in general. A scout who has had small increases in responsibility in scouting but is now the student council president will need greater increments of challenges in scouting to keep pace with his experiences outside of scouting. Keep giving your scouts more and greater challenges. Press your comfort level of what you anticipate they can handle. Give them foreseeable failures, just make sure that the landing after the fall is padded and safe. That will make them more comfortable to take larger leaps in the future. * Remember “Webelos” is both singular and plural, since it stands for “WE’ll BE LOyal Scouts.” Dropping the “S” is dropping the “scouts” from the phrase. If this seems odd, it was not always this way. 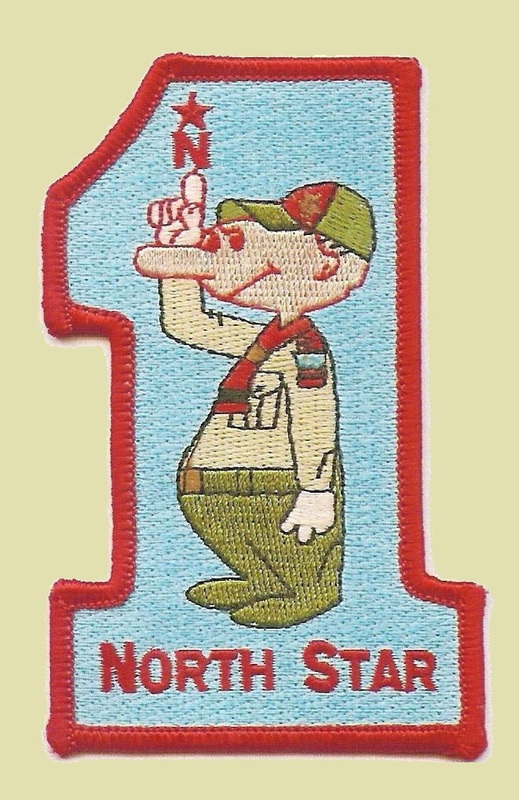 Prior to the 1972 abolition of the top rank of Lion, Webelos stood for “Wolf, Bear, Lion.” Singular and plural were less an issue.